The loss of a limb in an accident is devastating. It is a catastrophic injury that will have life-altering effects on the victim and their family. While there is nothing that can truly make up for this type of loss, victims are entitled to recover substantial financial recovery. Sadly, the big insurance companies try to systematically undervalue loss of limb injury claims. If you or a loved one suffered an injury that required an amputation, it is imperative that you contact an experienced Tampa catastrophic injury attorney immediately. Disfigurement and loss of life enjoyment. Victims sustain substantial intangible damages, included tremendous pain and suffering and the loss of lifestyle enjoyment. As a purely practical matter, these claims are simply difficult to put a fair dollar figure on. Unfortunately, the big insurance companies will try to take advantage of this fact. They often try to get amputation victims to agree to lowball settlement offers. Please do not agree to a settlement offer that is less than the full value of your damages. Remember, the insurance company is not on your side. Instead, the company is looking out for its own financial interests. You need an aggressive attorney by your side who can face down the insurance company and who can protect your right to a full and fair recovery. Were You Severely Injured in Tampa Bay? We are here to help. 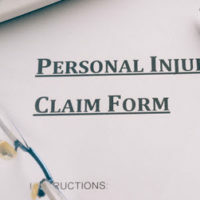 At Pawlowski//Mastrilli Law Group, our compassionate personal injury team has extensive experience handling catastrophic injury claims, including cases involving loss of limb and amputations. If you have been seriously injured, please call our office today at (813) 242-4404 to set up a free review of your case. From our office in Tampa Bay, we vigorously represent clients throughout the region, including in Hillsborough County, Pasco County and Pinellas County.